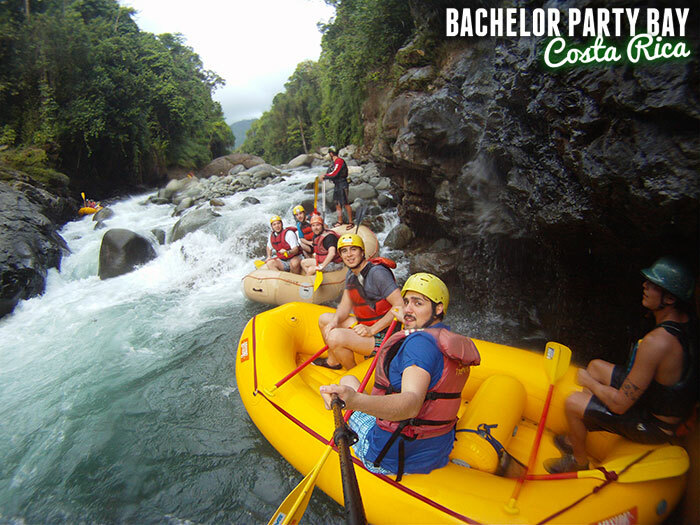 Costa Rica is also globally known as the Bachelor Party Capital of Central America. The countries Capital City of San Jose plays host to a few very well known Bars and Nightclubs where groups can enjoy multiple partying, gambling, dining, and entertainment opportunities. Home to the Hotel & Casino Del Rey, Blue Marlin Bar and the Key Largo Bar. Only a short and scenic 1 hour and 30 minute drive to the West Coast you will find Costa Rica's beach party capital, Jaco has become well known around the world as the ultimate stag do destination offering a plethora of entertainment, accommodations, tours and excursions, bars, nightclubs, beaches, and a party scene that is unmatched. Home to the world famous Beatle Bar and a collection of great nightclubs and bars, your group can go from Mild to Wild as you choose at any time. Jaco Beach is located only 10 minutes from Costa Rica's Fishing Capital at Los Suenos Resort & Marina, where you'll find the best Big Game Sport fishing Captains and Boats. 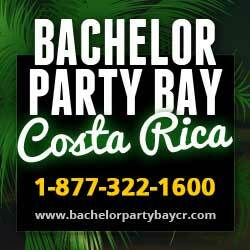 BPB: This reputable VIP company has become well know as the Kings of Central America and the leaders in Costa Rica bachelor party planning and hosting. From the best selection of friendly private vacation rental and condos to the best contacts and connections and the highest quality of everything and anything this true paradise has to offer. Completely guided and escorted VIP service from the moment you land at the airport until your last day in paradise, They make certain everything goes perfectly, safely, and without a glitch from the initial planning phase of your trip through the entire experience. References from those that were lucky enough to find us and wise enough to use us, are always available upon request. You'll find an incredible selection of Party Friendly Luxurious and private pool homes available to rent and close to all the action, as well as a tremendous inventory of luxury Condos and Penthouses right on the beach or just a block off the beach, and walking distance to everything. Jaco Beach is home to over 100 great restaurants offering cuisines of all flavors and price ranges from delicious local Costa Rican cooking to Steaks, Seafood, Mexican, Italian, Fast food, International Cuisine 24hr dining, and a lot more. You'll find an incredible selection of exciting "Must Do" tours and excursions in the Jaco Beach & Los Suenos area, from the countries best Big Game Sport Fishing, Zip Line Canopy Tours, ATV Jungle & Mountain Tours, White Water Rafting, Jet Ski tours, Surfing, Kayaking, Snorkeling Island cruise, and Rainforest wildlife sighting and eco- adventures.